Today the Abay Kazakh National Pedagogical University is the first higher educational institution in the country with 90-year history. This place of education is unique in the history of the Kazakh people. Since its formation, the university has been a leader in the development of higher education in the Republic of Kazakhstan in the field of training qualified specialists for all spheres of society. The opening of the Kazakh State University was officially held on October, 1928 by the decision of the Council of People`s Commissars of the Kazakh ASSR March 23 of the same year. Primarily, establishment of three faculties: pedagogical, agricultural and medical was supposed. However, it was decided to develop the newly established higher educational institution as an independent pedagogical institute for further intensive development of national education. That time it had the only faculty with three departments: physics and mathematics, natural science and linguistic-pedagogical. Therefore the University was renamed the Kazakh State Pedagogical University in 1930 and the name of great Abay was awarded to it in 1935. Completing the staff by qualified scientific and pedagogical personnel was a serious problem for KazPI that time. Distinguished representatives of the Kazakh people: Oraz Zhandosov, Saken Seifullin, Baimen Almanov, Akhmet Baitursynov, Halel Dosmuhamedov, IliyasKabulov, Temirbek Zhurgenov carried out their teaching work at the Institute. In 30-th famous specialists-humanitarians: K.Zhubanov, S. Amanzholov, M. Zholdybaev, in the sphere of mathematics - A.Ermekov worked in KazPI. A huge role in the establishment and development of the Institute played the help provided by many educational institutions of the fraternal republics, especially the RSFSR, in particular the universities of Moscow and Leningrad. They generously shared the wealth of their libraries, equipment for classrooms. Those years, such famous scientists as literary critic N.N. Fatov, mathematician B.L. Kruglyak, physicist V.F. Zakhvatkin and many others came to do the pedagogical work to KazPI. An outstanding statesman, talented scientist and teacher - S. Asfendiyarov, who stood at the cradle of the higher school and science of Kazakhstan, played an enormous role in the organization of the first university of Kazakhstan. S. Asfendiyarov, who was fluent in Arabic, Persian, English and French, a talented scientist, an outstanding statesman, took the organizational work of the University and accepted the first students. He made an invaluable contribution to the formation of the educational and material base of the educational institution, in providing it with textbooks and teachers. Later in 1930, he contributed to the opening of the Alma-Ata Medical Institute, became the first rector and later the People`s Commissar of Health and the Deputy People`s Commissar of Education. Mukhtar Auezov, Kazhym Zhumaliyev, Kudaibergen Zhubanov and others, also delivered lectures in the walls of KazMU. Professors of KazPI actively participated in the training of specialists for other higher educational institutions of Kazakhstan. Already the first years of establishment and development of the institute were marked by the fact that it began to supply the country with highly qualified specialists for primary and secondary schools. Over time, the level of training of specialists has significantly increased, a whole tradition of teaching and educating future teachers has arisen. The first scientific researches in the field of language, literature and history began to be carried out, which influenced the establishment of the institute the status of a scientific center. Thus, by the end of the 1930s, the accumulated educational experience, the improvement of the material and technical base, and the completing of the teaching staff by the teacher-scientists contributed to the fact that KazPI was perceived all over the country and beyond as a large scientific and educational center. KazPI is credited with preparing the conditions for the creation and development of a broad network of higher education institutions. Period of hard testing for the Institute`s staff was the time of the Great Patriotic War of 1941-1945. Many teachers and students of KazPI were awarded the highest state awards for their heroic deeds in the forefront of the Great Patriotic War. Malik Gabdullin, the political leader of the infantry battalion, was awarded the title of a Hero of the Soviet Union for his exceptional feat of defending Moscow against the Nazi invaders. Malik Gabdullin himself, a hero, literary critic and scientist, for a long time led KazPI and made an invaluable contribution to its development. Famous teachers and students of KazPI Lesbek Zholdasov, Kanash Kamzin, Kudaibergen Suraganov, Rakhimzhan Tokataev, Ahmediyar Kusainov, Sadu Shakirov, Eugene Breusov became heroes of the Soviet Union for their heroic deeds and were awarded the Golden Star. In the postwar years, the need for specialized teaching staff in schools has increased dramatically, and the number of students attending admission courses has risen sharply, especially in the correspondence department. If in 1946, 362 students were enrolled in the first year of full-time studies, only 60 graduates graduated the same year. In 1956, 567 students were enrolled in the full-time department, and 594 students passed correspondence courses. KazPI named after Abay celebrated its 50th anniversary in 1978 with worthy success. 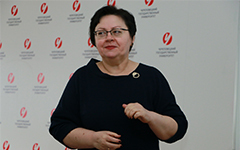 October 12, 2011 by the Decree of the Presidium of the Supreme Soviet of the USSR the Institute was awarded the Order of the Red Banner for achievements in the field of training and education of pedagogical specialists. Outstanding figures of science and culture, writers of Kazakhstan are graduates of the university, who KazNPU is proud of. 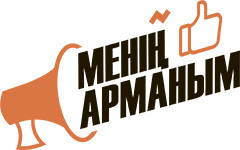 They are: S. Amanzholov, H. Bekkhozhin, H. Zhumaliev, O. Zhautykov, M. Karataev, A. Iskakov, A. Kalybaeva, S.I. Kirabayev, G.Omarbekova, G.Sain, Sh.Satpayev, R.Syzdykova, A.Tajibaev, G.Kaiyrbekov, G.Sadvakasova. They made an invaluable contribution to the training of qualified specialists. In the walls of the Kazakh educational center, graduates gained their knowledge, subsequently becoming prominent state and public figures who made a great contribution to the development of science, education and culture. Among them we can name such people as M.Abdzhalykova, T.Tazhibaev, A.Zakarin, K.Aymanov, A.Sembayev, N.Jandildin, B.Bultrikova, D.Beysenova, A.Sharipov, E.Mambetkaziev, U.Zhanibekov , M.Ahmetova, A.Tumarbekov. In the 1980s, the Institute carried out research work on the complex problems of the education system of the population, conducted annual educational and methodological conferences. At the same time, in order to improve the material base of the Institute, the problem of housing construction for humanitarian faculties, the construction of two hostels and provision of housing for young people was realized. Thus, special attention was paid to the social and living conditions of young professionals, as well as housing for young professionals at the intersection of Pushkin and Tole bi streets, and the Ainabulak-3 micro-district. October 25, 1990 the first Kazakh University was reorganized into a "university" status, and its name was changed into the Kazakh State Pedagogical University named after Abay (Kazakh State Pedagogical University). This coincided with the independence of Kazakhstan at that time. 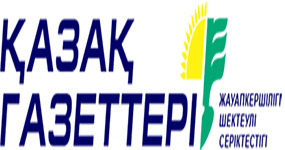 A new stage in the history of KazPI named after Abai came in connection with the new socio-economic and political processes that took place in the early 90`s. New time required different approaches to the organization of higher education and training of new personnel focused on market relations. 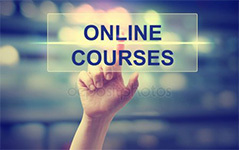 The domestic system of training specialists began to look for new forms of education. These factors were dictated by the decision of the Cabinet of Ministers of the Republic of Kazakhstan on November 24, 1992 on the transformation of KazPI into the Almaty State University named after Abay. On September 26, 2003 by the Decree of President N.Nazarbayev No. 1201 the University was renamed into "Kazakh National Pedagogical University named after Abay (KazNPU)" and acquired the status of "national". On September 24, 2007, Abai KazNPU won international awards, such as "United Europe" and "European Quality" within the framework of the Leadership Program of the XXIst Century at the Oxford Summit of Leaders of Higher Education (Great Britain). And in 2007 the university was awarded the President`s Prize "For Achievements in Quality". Today the Kazakh National Pedagogical University named after Abay is a large scientific and educational center in the field of higher and postgraduate education in the areas of personnel training "Education", "Humanities", "Natural Sciences", "Social Sciences and Business", "Art", etc. 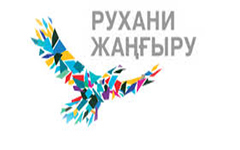 Today, the University has 7 institutes: Pedagogy and Psychology; Mathematics, physics and computer science; Philology and multilingual education; Art, culture and sport; Science and geography; History and law; the Sorbonne-Kazakhstan Institute. There is also a faculty for pre-university training for foreigners. There are 30 chairs at the University, including 3 university departments (Military Department, UNESCO Pedagogical Department, Department of the Assembly of the People of Kazakhstan). In 2017, scientific-research institutes and research centers were transformed into the Science and Innovation Park (NPI). It includes the research center "Hakim Abai", the scientific center "Author`s oral literature", the Center "Tulgatanu" named after M. Gabdullin, Center "Functional Technologies and Applied Research", the scientific center "Intellectual Nation", the research center "Resources of inclusive education and personality psychology", and the Center "Development of Teacher Education". The University has 8 dissertational councils, the Council of Young Scientists, the Scientific Library and the Ulagat Publishing House. Recently, the Center of Advanced Studies and Distance Learning, the Center for Digital Services for Students "Shapagat", the International Scientific Laboratory of the Technologies of Education Informatization and Education was established. KazNPU named after Abai annually improves its position among the best universities in the world. In 2018, according to the University QS WorldUniversity rating, the university took 481 place (2017 - 491 places). Our university is ranked QS World University: in 2018, Emerging Europe & Central Asia ranked 86-th among the 200 best universities in 30 countries in Europe and Central Asia (2017 - 91st place). 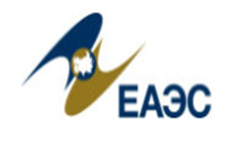 In the main rating of the Independent Agency of Kazakhstan on quality assurance of education, the top three included 32 educational programs on pedagogical specialties. 51 academic programs of the university are accredited by international and national accreditation. The Kazakh National Pedagogical University named after Abai is the center of educational and methodological support of the teachers training in the country as the leading pedagogical university of the country with a special status. We have started implementing a new model of curricula for pedagogical specialties that are prepared jointly with foreign partners. Curricula have been developed for teaching multilingual education in collaboration with scientists from the University of Cambridge, Sussex, and our country`s educators, teachers of schools in physics, information science, chemistry and biology in English. 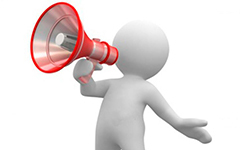 For training and methodological support of these educational programs, 19 teaching aids in English have been prepared. Last academic year the university prepared 13 specialties for bachelor`s, master`s and doctoral studies in English. International cooperation in the activities of the university is becoming increasingly important. 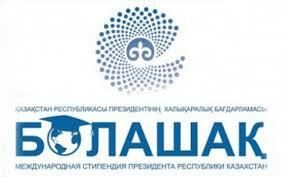 KazNPU named after Abai is a collective member of 11 prestigious international organizations. We have concluded 130 contracts with universities in 23 countries of the world. An important event in the life of the university was the opening of the Institute Sorbonne-Kazakhstan a branch of the Sorbonne-Paris University, which has more than 800-year history. Professors and Teachers staff of the university is 883 teachers.Among them , 526 people have a scientific degree, including 157 doctors of science, professors, 369 candidates of science, associate professors, including 45 PhD doctors. And also 14 academicians and corresponding members of NAS RK, 45 academicians of other state academies. The priority directions of scientific research at the University are: strengthening the spiritual and moral values of the nationwide patriotic idea "Mogilik El", mentioned in the article of the Head of State "Bolashak bagdar: rukhani zhangyrtu", tri-lingual education, the tasks of the education system of the Republic of Kazakhstan, connected with the transition of the Kazakh language on the Latin alphabet, "Digital Kazakhstan", the latest training resources on the basis of information and computer 3D-technologies, etc. In general, educational activities of the University are enormous. If the history of the university was deep and promising, the university staff did not forget the Alash leaders who stood at its sources. The experience of leaders and public figures occupies a special place and role in the history of the university, and they have made a great contribution to the development of University. The university has memorial plaques dedicated to the founders of the University Akhmet Baitursynov, Sanzhar Asfendiyarov, Oraz Zhandosov, Saken Seifullin, Baimen Almanov, Halel Dosmukhamedov, Kudaibergen Zhubanov, Ilyas Kabylov, Alimkhan Ermekov. These are educational tools that will serve as an example for future generations.